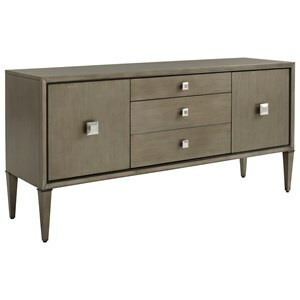 This ultra contemporary sideboard is the perfect blend of style and organization. With adjustable shelves and felt-lined drawers, this is the best place to store and organize your best dinnerware set that you bust out for dinner parties. 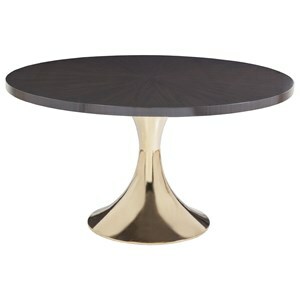 The rich ebony finish mixed with the brass hardware makes for a stunning addition to your dining space. 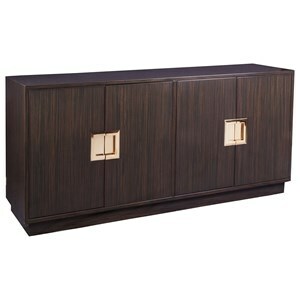 The Casanova Contemporary Sideboard with Solid Brass Hardware and Felt-Lined Drawers by Artistica at Baer's Furniture in the Ft. Lauderdale, Ft. Myers, Orlando, Naples, Miami, Florida area. Product availability may vary. Contact us for the most current availability on this product. 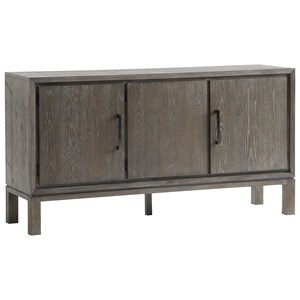 2044-869B Sideboard Base 1 68" 18" 10"
2044-869D Sideboard Deck 1 68" 18" 26"
Storage Four doors, two felt-lined and divided drawers, and two adjustable shelves. Case Construction Engineered ebony veneers. 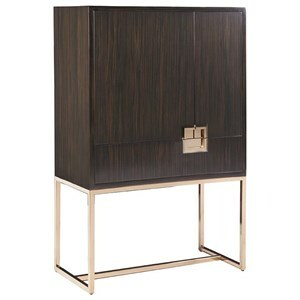 Select pieces have stainless steel bases electroformed in brass. You often have to compromise that warm and welcoming tone when you go for such a sleek design, but that certainly isn't the case here. 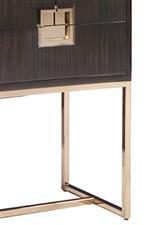 It is impossible to ignore the contrasting intense ebony veneers and lustrous brass hardware on this collection, it is visually stunning and yet utterly simple. This is the very essence of contemporary design, making this the perfect collection for those looking to add a refined, modern theme to their home. The Casanova collection is a great option if you are looking for Contemporary furniture in the Ft. Lauderdale, Ft. Myers, Orlando, Naples, Miami, Florida area. Browse other items in the Casanova collection from Baer's Furniture in the Ft. Lauderdale, Ft. Myers, Orlando, Naples, Miami, Florida area.